"China is the biggest loser with a nuclear North Korea." Zhang Liangu is professor of international strategic research at the Party School of the China Communist Party Central Committee. 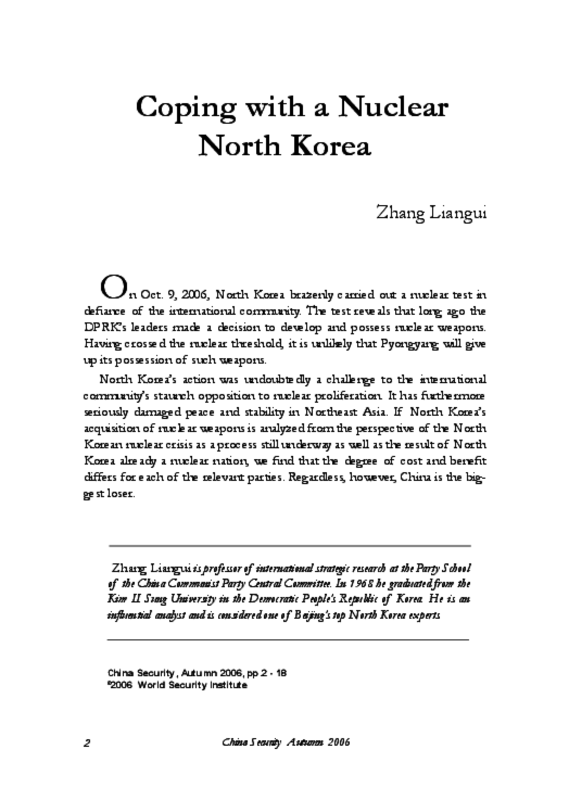 Copyright 2006 World Security Institute.